Ever since I had my little coma incident last December, Fluffy has been my personal trainer. I have written before about how enthusiastic he gets. He has everything except a riding crop to whip me into compliance as he enforces his daily exercise routine. 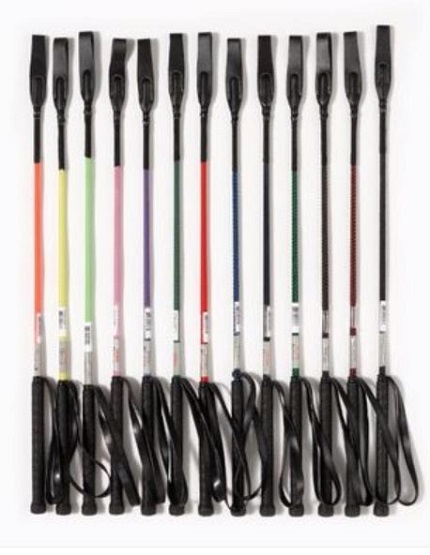 If Fluffy knew that riding crops are available on eBay, he would no doubt buy one in every color. Fluffy has been a lot more reliable than my physical therapist, because every time I have even thought about getting sick, my physical therapist has vanished like the morning dew in August. To his credit, it was the physical therapist that first discovered I had MRSA. We went to see him for an appointment, and he started sniffing the air like a wine connoisseur — or like a bloodhound. “You have an infection,” André said. “That’s news to me,” I said. Sure enough, he sent us home without even a therapy session that day. The next day my regular doctor called with some test results. Sure enough, the tiny hole on my ankle that Fluffy and I were not even thinking about was teeming with MRSA. I might have died from the MRSA infection if André hadn’t insisted I was sick. Anyway, after I got MRSA it was nearly two months before I was able to see André again. (This is roughly two months minus three days after the infectious diseases specialist cleared me to go out in public.) During the time I was away from physical therapy, my physical strength had been increasing exponentially. In fact, I was probably able to leap tall buildings in a single bound — if only I could stand up and walk, that is. Fluffy and I were sure André would be impressed with my progress, and he was. But physical therapists, like my personal physical trainer Fluffy, are never satisfied. They always want more. So André suggested that I take the walker that I had only just learned to use to shimmy from the wheelchair to the loveseat, and use that walker to saunter up to the bathroom sink and brush my teeth standing up. Was he out of his ever-loving mind? I was certain he was. But that very night, despite my protests and whining about not being able to go to bed, Fluffy set up the walker outside the bathroom and I used it to stagger in. Then I stood at the sink for nearly a minute while I did the most cursory tooth-brushing you can imagine. Fluffy acted like I had won the lottery. It had truly been a team effort. Fluffy, acting as physical trainer, had goaded me into doing my exercises and getting stronger. I had played my part because, once Fluffy told me what he wanted of me, he trusted me to exercise on my own — and I did everything he asked of me. It didn’t matter if he was in the room or on the roof or off at the supermarket. I did everything I was supposed to do, and I did it the way he expected me to do it. But we never could have taken the next step without André, the brains of the operation. I was getting stronger and stronger, but I wasn’t taking the next step toward walking because Fluffy and I didn’t know what the next step was. Who knew that the next step towards walking was doing all sorts of trunk exercises to give me the stability I would need to keep my balance when I tried to walk without being able to feel my feet? If we relied just on the physical therapy sessions to get me better, it would be a long haul. Fortunately, we use those sessions to get ideas and direction, but then both Fluffy and I expend a lot of energy practicing what we learned and expanding upon that. As I thought about this, I realized that this is the way that God has been working with Fluffy and me from the beginning of this adventure. We have all had assignments, just the way that Fluffy and André and I have had assignments as we have worked toward getting me to walk again. In this case, though, Fluffy’s job has been to take care of me. (As he can attest, that has been a big job.) My job has been to be cheerful and patient, and to do all the things such as exercise that I am asked to do to make myself well again. God, like André, is the brains of the operation. I do not write this flippantly. Indeed, I have known since the beginning that there has been a purpose in all of this — things that Fluffy and I needed to learn, and ways we needed to grow. God knows exactly what we need to learn, and exactly what it will take to get us to learn those lessons. He is gently (and sometimes not-so-gently) guiding us in the direction we need to take to be able to learn and to choose and to grow. I have been grateful for Fluffy, even when he stretches me farther than I want to stretch. I have been grateful for André, who seems to be Fluffy’s clone-away-from-home in making me do things I do not want to do. But I am also grateful to God, who knows the end from the beginning. It is God’s map I want to follow, even though I cannot see the map or even know (in the short term, at least) where I am going. It is my experience with God in the past that has allowed me to be so cheerful about the things that have happened to Fluffy and me in the past seven months. When God is at the helm, all is well — no matter how bad things may seem from our earthly perspective. Are there challenges on the horizon? Bring ‘em on! The captain of my ship is taking care of me, and my ship will never sink in any storm.